Today it's Monday and I'm bringing you a new post about an young brand I like very much, Fabric Hunted & Collected. 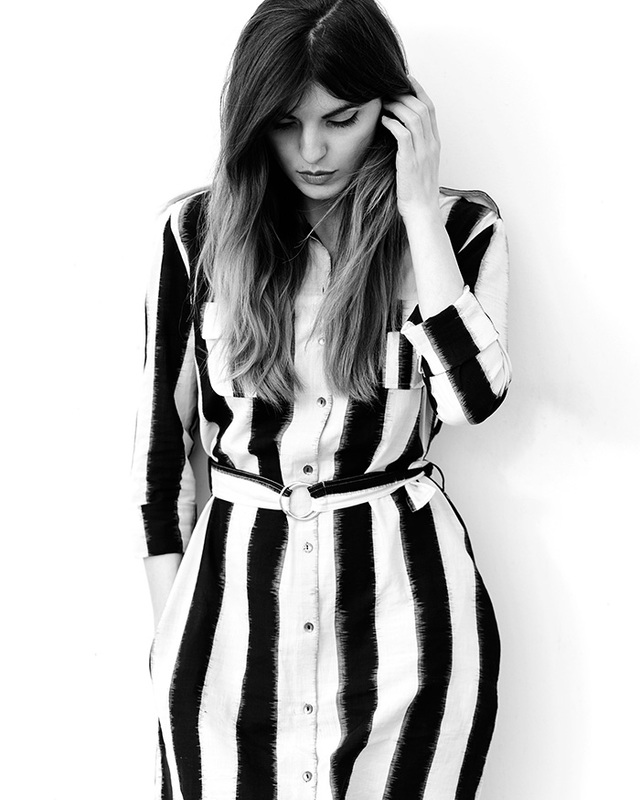 Obviously, this beautiful striped dress is by this french brand and I am in love with it. Fabric Hunted & Collected was launched in 2015 by an young talented woman, Gabrielle, who fell in love with the fashion world working with Chanel, and decided to create her own brand meanwhile traveling all around the world. All the pieces of Fabric Hunted & Collected are handmade in India, and as Gabrielle says: "travel, culture, research, sustainability and real people are at the heart of these perfectly imperfect and beautiful creations". I am very honest saying that this dress is one of my favorite pieces for this summer and I literally wore it every single day meanwhile I was in Belgium (in Paris it's still cold), so here I leave you some pictures. You can find Fabric Hunted & Collected in some concept stores in Paris, like Merci (here), or even in Barneys (here) in USA. This fact really shows us how exclusive pieces they are. Hope you like my styling of the dress with the maxi hat and the ankle boots.